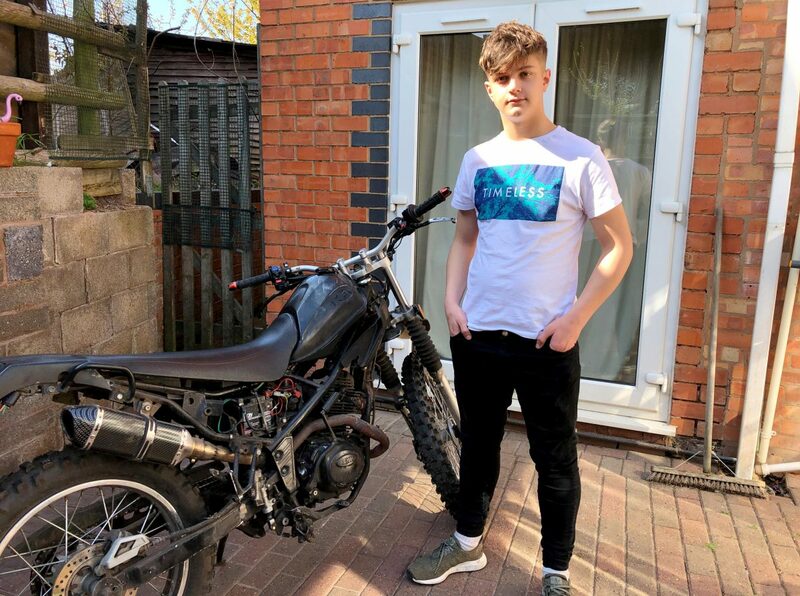 A teenager was forced to pay police £150 to return his stolen motorbike – despite officers finding it just yards from his home. Mason Carr’s 125cc scrambler was found dumped in a field hours after it was taken from his driveway in the early hours of Monday (8/4). 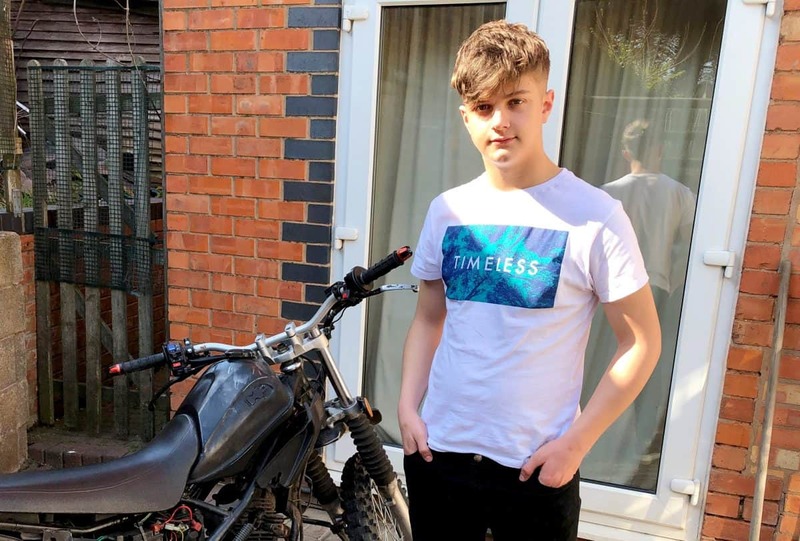 The 17-year-old reported the theft to police who discovered the bike down the road from the teenager’s home in Worcester. But cops refused to return the bike until they received £150 from Mason. His mum Tara, 40, stormed: “My son has been penalised twice – once by the thieves who stole it and once by the police. “We reported the theft on Monday morning before searching the area but the bike was found by officers just a few hundred yards away. “A recovery firm was alerted and the bike was impounded. “We were told that Mason would have to pay the £150 release fee because he is the registered keeper. “They could have told us, it was down the road. If they had called to say it’s just down the road, we could have collected it for free. “It’s obviously their protocol and the police did a fantastic job finding it, but he has been penalised twice through no fault of his own and the thieves have got away with it. “I’m sure this must have happened to lots of other people but why should this be acceptable? Mrs Carr said police told them the bike would be scrapped if the recovery fee wasn’t paid. She added: “We decided we might as well have it back, but it is absolutely trashed. It’s ridiculous. “It was parked behind the hedges so nobody could see it from the road or anything and it had the steering lock on. Mason, who saved up two months wages from his IT technical support job to buy the £900 bike, said: “It’s not like we think we are some special case and no-one else has ever had anything stolen. PC Allan Figueiredo, of West Mercia Police, said: “A motorcycle was sighted being driven by two youths without helmets who then made off from the officers.